Here's an invaluable tool for precise engine tuning. 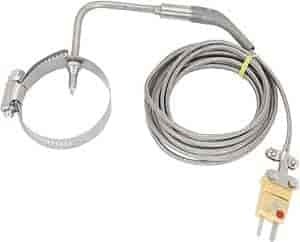 This indicator features an exposed junction thermocoupler for instant response, a hold button for recording measurements, and the abilities to record the maximum temperature reached and to monitor two cylinders at once. It includes a tough rubber, molded case and a temperature probe for reading fuel, manifold, or head temperature. Percy's also offers kits and components to withstand the harsh RF signal enviroment commonly associated with magneto ignition systems. Playback on Unit, NO LAPTOP REQUIRED!